One of the bugaboos for international players participating in the World Series of Poker (WSOP) each summer is exactly what to do if good fortune arrives in the way of a life-changing tourney score. The US has always had strident income-reporting requirements, and in recent years has stepped up its money-laundering oversight and regulatory requirements where casinos and high-stakes gambling are concerned. 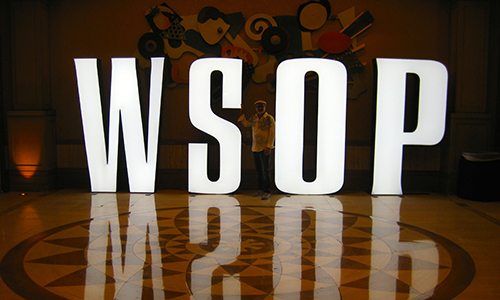 According to one tax accountant who often specializes in gambling-related matters, Russell Fox, changes to be implemented to the US tax codes as of the start of 2017 could make it far more difficult for international players visiting the WSOP to collect their winnings in full. 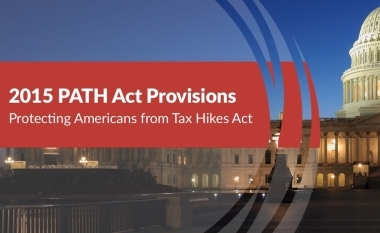 Fox, in a just-published blog, cites IRS-related changes made under the 2015 PATH (Protecting Americans from Tax Hikes) Act. One of the unintended consequences of that act, according to Fox and many other tax preparers, is that the elimination of all CAAs (Certified Acceptance Agents) outside of the US, will make avoiding a 30% withholding of winnings assessed against international WSOP players all but unavoidable, unless theyve had the foresight to obtain or update a current ITIN (US-issued Individual Taxpayer Identification Number) well in advance. And even the domestic agents issuing the ITINs, according to Fox, must be agents of the IRS. It’s hard to say or sure which side is right at the moment, but anybody traveling to the WSOP this summer should probably play it safe and look at their ITIN situation right now. Otherwise, there’s a chance that some winnings could — not necessarily “will”, but could — be withheld needlessly for several months. Let’s fill out the backstory. The US is one of the countries where gambling winnings are generally treated as taxable income, as many international players have discovered after said winning, much to their chagrin. Such taxation (30%) is often not the case in many other countries, including the UK, where poker winnings aren’t taxable. But other countries’ tax status on gambling isn’t enough. According to US tax law, these second must also have an active tax treaty with the US, declaring gambling income non-taxable for their citizens in that way. It’s been an ongoing issue for major casino corporations for several years now. These casinos often cater to the international jetsetter crowd, “whales” in casino parlance, and moving all those million in gambling bankrolls into and out of the casinos (and into and out of the US as well) has often created money-laundering issues. A part of the newly implemented PATH Act, attempted to crack down on some of these money-laundering loopholes. That would seem to contradict the WSOP’s response Tweet, if indeed Fox is accurate. Still, whether or not casinos such as Rio will be able to issue ITINs this summer might change in the meantime. Fox cited a letter from the National Association of Enrolled Agents (NAEA), which urged the IRS to reverse itself on the issue of cancelling all international-based CAAs, and technical changes to these rules might be forthcoming. Another factor that plays into the issue for WSOP participants is that obtaining or renewing an ITIN without the help of a CAA, is for an international player, all but impossible. The process as it now stands, PATH Act changes in place, includes making a physical appointment at an IRS office, providing all sorts of identification and documentation (including one’s passport) and leaving it there, and then waiting as much as two months for the ITIN application to be approved or denied. In a word, that’s ridiculous. But the IRS has countered that only by moving the entire ITIN application process in-house as mandated by the PATH Act changes is the only way to protect against fake documentation and thus prevent money laundering. Ahh, bureaucracy. One instead hopes the WSOP has it right, and that a technical update to the PATH Act lunacy is already in the works. To be safe, though, international visitors to this year’s WSOP or other major tournaments should check now to make sure their US ITIN numbers are still valid. (If issued before 2014, those have all been voided, too.) Best to be prepared in any event.